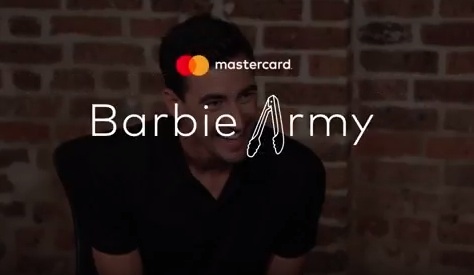 Mastercard Australia Barbie Army Anthem - (Stuart) Broad "Wants To Go Home"
Mastercard Australia has launched a new commercial featuring a Barby Army anthem for fans to learn it and sing it his 2017/2018 Ashes Series to show their support for the Aussies. “Broad wants to go home. Broad wants to go home. Broad wants to go home”. This is not the only song composed the trio, though. There are also other songs that mention batsman Cameron Bancroft as having “the heaviest head in the West”, Nathan Lyon’s nickname, “Gary”, and renditions of the famous phrase “nice Gazza”, that began trending on social media in December 2017, as well as English cricketer Alastair Cook in an anthem raising the question “Why has Engerlang selected Alastair Cook?”.